It’s OK because if appraisal were nothing more than crunching the numbers, we would have no purpose, no value, and AVMs could do what we do (a lot faster and a lot cheaper) . Nevertheless, since appraisal is not merely about crunching numbers, but about deducing from the market data a unique market value, then we are necessary. We are important to the process. We are a necessity to our clients. Yes, Dude, you will get hate mail on this blog. But not from me! Well done, maestro! Keep up the good work! Keep up the controversy! Both Qualitative and Quantitative grid analyses are both USPAP complaint and can be equally credible. My issue is I typically see Qualitative being completed by appraiser who do NOT know the market little alone being able to choose “Correct Comparable Transactions”. I am sure you arrived at a similar conclusion as your appraiser because you knew the market and how to choose comparables. I typically report reduction in reliance (not technical compliance) when I see Qualitative only analytics, because I rarely see actual explanation for the +/-/= notations. Other Note: the more appraisers limit there ability to analyze or credibility of the analysis the less they become relevant to the process. Dustin, while I agree with your general sentiment about the widespread use of voodoo adjustments derived from a morning cup of coffee instead of analytical techniques, I am not in accord with your view that markets are “not logical” or that markets have “no basis in science”. Real estate markets often display readily identified patterns of behavior indicating common logic by buyers/sellers. If there were no logic, what basis would you use to select comparable sales? I suspect our real estate agent friends could quickly list the primary real estate attributes that prospective buyers use as the basis for narrowing their search for a house. Moreover, there is ample published evidence that individual residential real estate sale prices are frequently explained by a small number of common variables. Of course, some of the variables will differ in their importance between areas/markets, but the variability can be observed and often quantified; which is a segue to my next item – science. The Oxford Dictionary defines science as ‘The intellectual and practical activity encompassing the systematic study of the structure and behaviour of the physical and natural world through observation and experiment’. This definition has great similarity to the type of basic analysis we are supposed to do in the appraisal process. It would appears that science (e.g. observation/study of behavior) has a place in real estate markets. As a side note; I have heard the activity of real estate appraising described as an art that follows a scientific process. Over the years, I have witnessed large scale tests of automated valuation models conducted on millions of properties. High performing syndicated models have a credible place in property valuation for residential real estate mortgage lending. As appraisers, we would do well to acknowledge this reality and avoid mantric flat-earth rhetoric to dismiss their usefulness. Thanks for your thoughtful blog post. I applaud your efforts to drive continued improvements in the appraisal community and serve as a champion for appraisals done right. As a profession, we are valuable to ensuring dependable and sustainable collateral valuation. Hi Dustin, interesting timing on this, as I just presented at a real estate office yesterday, and suggested they try their CMAs without any adjustments at all, but purely on ranking and on logic to see where they landed. I suggested to the manager that they try this way first, then the way the agents normally do, and see how close they come to the final answer. For me, talking with agents, I want to impart that it is simply not logical to conclude to a price opinion higher than their superior sale, or lower than their inferior. From there, it is all a matter of how the property falls in the range of their sales. Should result in fewer problems with appraisals not agreeing on the sales price. Like Tim Andersen, you won’t hear any “hate mail” from me either. You know, we (appraisers) are the only ones that make adjustments for specific items on a property. Home buyers don’t that! Home sellers don’t do it, either! Like Rachel, I give presentations to Real Estate Offices and I ask the question: “How many of you have shown a property where you heard the prospective buyers say ‘Ohhh look – the kitchen has granite countertops! That’s worth $2,000. And look at that fireplace! That’s another $2,000. And wow – they have a wood deck AND and covered patio! That HAS to be worth another $5,000.” I have NEVER had anyone answer “yes” to that question. That is not how houses are purchased. Buyers like THIS house over THAT house. They rank them. “I really like that second house we saw – let’s make an offer on it.” NO ONE MAKES ADJUSTMENTS – EXCEPT US! WHY??? Bring back the Fannie Mae Form 2065! Bobby, as is usual, is correct. If the market does not dollar-adjust, why do we? When did we give up control of our own industry? I’ve been thinking about this recently as a concept. I’m a newbie and I’ve started to make fewer adjustments on the grid based mostly on the idea that if I have to have credible data for every adjustment I make, then I can’t make all those adjustments that my mentors thought were important. Then I make a statement that I don’t adjust for X, Y, and Z, because I have no credible data to support adjustments. I have gotten no push back for this. This thought process supports our profession being necessary, but it must make underwriters uncomfortable. Dustin, like many of the other’s responding to this, I agree that if we select the best comps in the market, we’ll have fewer, if any adjustments. For years it’s frustrated me that we (appraisers) are required to determine a specific value from a range of values based on our comp selection and after we make our adjustments. That’s like saying every red 4 door car should cost the same after taking options into consideration. Does anyone ever pay the same as the next person for the same make and model of car? If we select the best comps and make the fewest adjustments possible and determine a valid range within which our subject falls, why isn’t that range acceptable? I remember the first time I grided a comp and made no adjustments, my supervisor reviewed it and said “There has to be something you cam adjust for” but there wasn’t. Over the years I’ve put comps in the sales comparison grid and made no adjustments and been questioned by lender and realtors concerning the lack of adjustments. My response has always been “I make adjustments if they’re relevant and supportable, but, not just for the sake of filling out a form. Your article makes good points, I only wish more of us would question the processes we follow instead of just blindly following what we were taught 20 or more years ago. Thanks for the 5 stars review on eBay Dustin! I hope you and your office assistance are enjoying the purchase of my list of adjustments for real estate appraiser vol.9 that has been proofed to work in every market in US. I’ve been doing this for over 40 years. I have been espousing ranking and qualitative adjustments for the past twenty or so–bucking the trend. Fortunately, I also haven’t done any lending work for that long either. But I do get to see/review many reports daily involving assessment, eminent domain, many other legal disputes and occasionally even lending reports cross my desk. I have testified at hearings and trial court using qualitative and ranking analysis and reporting with much success. One of the problems I have with quantitative adjustments is that they tend to imply a level of precision and certainty that NO appraiser has except on rare occasions when the “sun & moon” align. I’m NOT that good. One of your commenters referred to quantitative adjustments as “voodoo” and all too often that is true. Dedicated, thoughtful appraisers do in fact attempt to make “paired sales” extractions and multiple regression analysis proofs—the problem is that those appraisers are usually loathe to admit that even those tools require underlying “judgments/guesses”. (When was the last time you had two sales that had only ONE difference or thirty or more properly researched comps for regression)? There are too few comparable sales in most markets to be able to use those tools properly without leaning heavily on “judgments/guesses”. In our marketplace the median single family sale price is under $200,000, so sales near $1,000,000 are rare. But I recently saw a report on a plus/minus million dollar home, where the appraiser made quantitative dollar adjustments for 3 fireplaces versus 4 and 4.5 bathrooms versus 5 bathrooms. This is contrived nonsense. If you think about buyers in that price range, they have a long list of “desires” such as location/school district, development/non-development, approximate house size in a broad range, and the “aggregation of most other amenities”—-who among those potential buyers makes a determination to buy or adjust what they offer for a million dollar house on the basis of it having one more or less fireplace or bathroom? No one. Now the downside to qualitative/ranking is the lack of comparable sales to properly “bracket” the subject. When you have a home/property in bad condition and your best comps are all in good condition, how “low” does the value/price for the subject go and vice versa? Finally, as throughout the whole process sound judgment will never be replaced by a computer and I have yet to see a computer sit on the witness stand and testify. Dustin, good article, definitely makes one think and they should. When completing a report, I look at both qualitative and the quantitative. I agree with the rest in selecting the best comps. I take a lot more time in researching and analyzing comparables to see which ones are the most similar to the subject. While this impacts my so called “turn time score”, I would rather put in the quality time to produce a quality report. This is something the lenders and specifically the AMC’s don’t get and probably never will!!! They would rather have the appraiser form fill and get the report in, like in two to three days. Although they would deny this though. I enjoy talking with Realtors and the typical buyer and seller to get their views on the market, it definitely helps. I have said every-time in my appraisal class that I teach, that when completing an appraisal assignment, adjustments are not the end all, be all. I leave my students with this, “as appraisers, our responsibility is to interpret the market and the market data and rendered an opinion of value”. Excellent article Dustin. Love it. Ever get an appraisal where the adjusted sales price range is larger than the sales prices prior to adjustments. This proves the lack of need for adjustments in some cases. I’m of the opinion that the GSE’s know this. Bracketing is not required in a purely quantitative analysis, because the adjustments are market derived and need no other support – yet every lender for GSE purposes requires bracketing (or explanation). Only qualitative analysis requires bracketing. What we have now is a hybrid methodology of sorts – and this is what makes the algorithms derived from appraisal data so frightening. They are purely quantitative systems based off of primarily qualitative data, with quantitative support. My adjustment for a 10 x 12 deck is $1,500. I know that it is correct. Excellent article Dustin, and one I wholeheartedly agree with. We are practically “required” to come up with adjustments, and then when the state comes-a-callin’ we have to “prove” them. Practically impossible. The qualitative approach is the one which truly reflects market reaction to differences. In a perfect world, we could assign a range of values to a property, with degrees of probability. “The subject property has a range of value from $300,000 to $387,000 with a probability of 95% at the value of $340,000 and a probability of 20% at the value of $387,000 (derive your percentages however you will). Had an appraiser friend (RIP Larry) who never measured a subject. Used the appraisal district records (Texas) as the square footage. His explanation was, I can get very accurate sq. ft. measurements by actually measuring the property, but what guarantee do I have square footage shown on the appraisal district records for the comps are accurate? Have no idea what his clients thought of that. I really don’t care what the agent indicates the sq. ft. is, as I personally know of NO agents who have measured their listings, and actually know which end is up concerning that. They always use the appraisal district records for the property. Not disparaging agents at all. I have been a R.E. broker for, seems like dirt was formed. Took some courses early in my career from Ed Compere, MAI. He said after he came up with a value he always went back to the property, sat down across the street and asked himself, would someone pay that for the property? I have recently switched from gPar to Narrative and am doing qualitative analysis, and including a grid with no adjustments. With proper explanation, I think it is easier for the consumer / reader to understand. Im not sure what to do with my 3″ x 5″ Adjustment card that my mentor gave me in 1987. I guess I can store it next to the microfiche machine? I agree with you that adjustments and adjustment grids are an illusion, perpetrated upon the public in support of the public misunderstanding of what an appraisal is. The public desperately wants an appraisal to be a finding of fact. The public hates the idea that an appraisal is the development of an opinion. In my opinion adjustment grids are, every bit the illusion trick, of any good magician. In my opinion the very purpose of an adjustment grid is to deceive the public that the appraisal process is really accounting. I agree with another of your thoughts but have another way of saying it. I say people think appraisal is the study and analysis of real estate (the actual tangible asset). What I say is appraisal is the study and analysis of how people economically interact with each other in relation to real property. My third point is in well over four decades of studying buyer and seller actions in the marketplace, I have very seldom seen the economic man in the marketplace. The reality is at a minimum buyer and seller decisions are made by two people (typically husband and wife and a lot of times partners) and typically a real estate agent. I have observed few transactions in which there were not at least two are three people involved in the decision marking on each side of the transaction. I do not recall the economic term of the “economic committee decision.” What an oxymoron! By definition a committee decision is more than an individual and is most frequently a compromise decision. Therefore, by definition the economic man seldom appears in the real property marketplace. If taken to the extreme I can, and occasionally do, argue that an adjustment grid is a violation of USPAP in that it intentionally misleads the reader to believe that there is a mathematical precision in the marketplace that simply does not exist. In very simple markets with vast amounts of sale data, I have and will continue to occasionally use an adjustment grids with a disclaimer that all of those numbers are not facts, they are overly simplistic quantifications of my opinions. Not only do I say adjustment grids are overly simplistic, I also say that they are not the basis of my analysis. I say that they are a simple tool to assist the reader with a quick overview of the appraisal. In my opinion the problem is while adjustment grids can be an effective analytical tool in some situations, as an industry we have bought in the client preference to be misled that all markets are simple and linear in their actions. The market wants appraisals which find the value fact that people can anchor their thoughts to. Unfortunately decades ago the industry went down the path of writing appraisal reports intended to lead the reader to the thought that we have discovered the value fact. Good article and thoughts, Dustin. By the way, you should obtain a copy of the adjustment table/book that Ebay Seller has….I have found it very worthwhile in my work! But seriously, making adjustments is a definite head-banging situation for appraisers. Meanwhile, AVMs and regression programs don’t get that finite or precise. In fact, regression programs just lump “valuable” amenity adjustments into the GLA line when a justifiable/supportable amount cannot be determined for the particular amenity. That’s because, except apparently in Pittsburg, PA, the GLA is the feature most buyers consider when deciding on a house purchase….unless of course there is some other factor such as stellar view or waterfront, etc. The bottom line here: while there are differences in properties, rather than make a myriad of line item adjustments, why not just apply ONE adjustment, if needed, to the GLA? That certainly will be higher than the old standby of $25 per sf, but it will be more reflective of how consumers think when they evaluate properties. This will require COURAGE to do! And a good explanation in the report. Great article, Dustin. And great comments. One of the best guiding principles that I was taught by my mentor is, “How would a buyer consider this property/feature?” And as most of the comments here have indicated, it’s not by adding or subtracting a few thousand here and there; it’s by ranking and comparing on a qualitative basis. And in markets with limited data and with properties that are not typical, qualitative analysis is often the most reliable way of analyzing the problem. Thanks again, Dustin. Great discussion. What adjustment table/book that Ebay Seller has? I tried looking this up. Thanks for your interest Marie. Due to the overwhelming demand for my Adjustments for Real Estate Appraiser Vol.9 list, this product is currently on backorder. As a courtesy, i will provide you with a 50% off coupon for this wonderful appraisal product when comes available again on ebay. Please use my promo code: wiser_appraiser. Ditto… Totally agree with Tim and Bobby!. Well said, Dustin!!! FYI…Adjustments are rooted in appraisal theory and are not a GSE construct. Great article Dustin! I also agree the points that you have made and with the sentiments of many who have commented. I appreciate your point that finding the best comparable sales is key! I also try to make as few adjustments as possible. 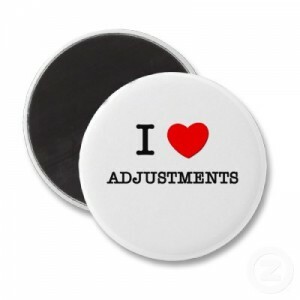 Personally, I think that some appropriate and properly supported adjustments are at times important. There is no perfect adjustment and no perfect way of deriving them, clearly. However, when there is truly a lack of comparable sales to choose from. Sometimes adjustments can be revealing when it comes to estimating most probably sales price. Over the years I have come to respect the importance of making appropriate adjustments at times to better support my opinion of value. Often, when my opinion of value is lower than the contract price, and agents provide the lender more “comparable sales” for me to consider, almost every time, when I apply the adjustments that I derived from that particular neighborhood or market area, the sales prices adjust to almost exactly what my value opinion was. Agents don’t make adjustments normally. I think that proper adjustments, which truly reflect the market reactions, are at times what makes our opinions of value more precise than some agents. (not always) I do also agree with many of the commenters that just running some data thru a regression program without some understanding of how regression, or whatever method we are using, is helpful or advisable. Just my thoughts. What a thought provoking article. When I started appraising back in the day we had a “list” of adjustments passed on by a seasoned appraisal teacher and I didn’t question it for a long time. Clearly that’s not the case now, particularly when we have to worry about how to support every adjustment. I often use verbiage to explain that I haven’t got credible data to back up an adjustment. That being said, there are just some things that no computerized program is going to pick up on. Important things that you learn from years of doing your job in a certain market. They are often subjective but that doesn’t make them any less true. It can be so frustrating to be hired for a job because you have been doing it well for almost 30 years and then they question your choice of comps because you didn’t bracket the subject because bracketing the subject is SO much more important that using the best comps!! Thanks for the chance to vent, Dustin! An individual transaction CAN be rational and in terms of market value, but many are not. For this reason, I submit that the most important adjustment will be the “motivation” adjustment. Is there anything in the transaction that makes the sale price either higher or lower than a transaction at market value would be? I have long held that, at least in some cases, use of such a not-at-market transaction should be considered if you can analyze and determine what the sale price adjustment should be for the unusual motivations involved in the sale. Of course, as with all other adjustments, if the unusual conditions of sale cannot be adequately analyzed and supported, you should not make adjustment for it. I am in complete agreement with the points you make in the article. However, you did not explore this issue in detail and I am interested in your comments on it. I have always believed that if the available market data does not support an adjustment then don’t make one. Differences are not always value related – sometimes they are just differences in the owner’s personal preferences. Thank you for your insight Dustin! Even the opposing attorneys knew they were done after that statement. and enlightening. I have always tried to use the right language when a client demands an adjustment asks me to explain why one was or was not made. Most often , the AMC giving me the order has no idea of the complexity of the Chicago market/neighborhoods and I often find their revisions to my reports silly and full of nonsense. I could go on. While the actions of individual buyers and sellers are often irrational, the collective actions, the market if you will, are the reactions that should be measured, and if appropriate, used in making adjustments. It is irrelevant what one set of buyer/seller pair agree upon, as that is not what we are basing the value upon (I refer to the definition of market value used in most FNMA forms). It is the collective actions, the market, that is being measured. Market behavior for many significant variables can on average be reliably derived in most markets (exceptions always apply). The adjustments may or may not be appropriate, but then those are the decisions for which we get paid. As a practical matter germane to the financial health of the appraiser having “proof” of an adjustment, or just as importantly proof of no adjustment, is very important to the regulatory bodies, and the lawyers. Every appraiser should read this article. Well done and kind of surprised about the lack of push back after reading all the comments – (But, I like it!!). Much can be gained from this, particularly the fact that appraisals require what I call “critical thinking” and your best friend within an appraisal is YOUR reconciliation – explaining to the user how you arrived at your value conclusion. It is the spot where the dust settles and arguments or points can be made. Too many appraisers are “adjustment crazy” I think. I will never forget as a trainee my Dad telling me when I asked a question (only because I wanted a quick answer and didn’t want to look it up), trying to push through the report – “You’re the appraiser – figure it out”. He also told me – “The hardest part of this job is comp selection”. Think. Think. Explain. Explain. It is what we do. Sometimes, when it all comes together, it can be the most rewarding part of the job. I wrote a rather long recon the other day and thought to myself, wow, that is damn good, I need to give the reader more in the future. If we are not constantly learning, I would suggest we are failing. No appraiser is perfect and subscribing to blogs like this (and others) can be very rewarding. Keep up the good, thought provoking work.